Forget an Apple A Day… Scientists Reveal That an Orange a Day May Protect You from Failing Eyesight. Protecting your eyesight for as long as possible is essential for preserving your quality of life. Recent studies have concluded that eating oranges daily can lessen the risk of deteriorating eyesight by almost 60 percent. The study was conducted in Sydney, Australia at Westmead Institute for Medical Research, which included over 2000 adults aged 50 and above, as this is the most common age for macular degeneration to develop. Age Related Macular Degeneration is a common condition, known for worsening your eyesight. Although it does not lead to complete blindness it can get worse if you don’t seek treatment, making every day tasks more of a challenge. While the exact cause of macular degeneration is yet to be discovered, it has been linked to smoking, being overweight, high blood pressure and having it in your family history. How Can Oranges Help Protect my Eyesight? During the study, those who ate a minimum of one serving of oranges a day showed a 60% lower risk of developing late macular degeneration 15 years later. 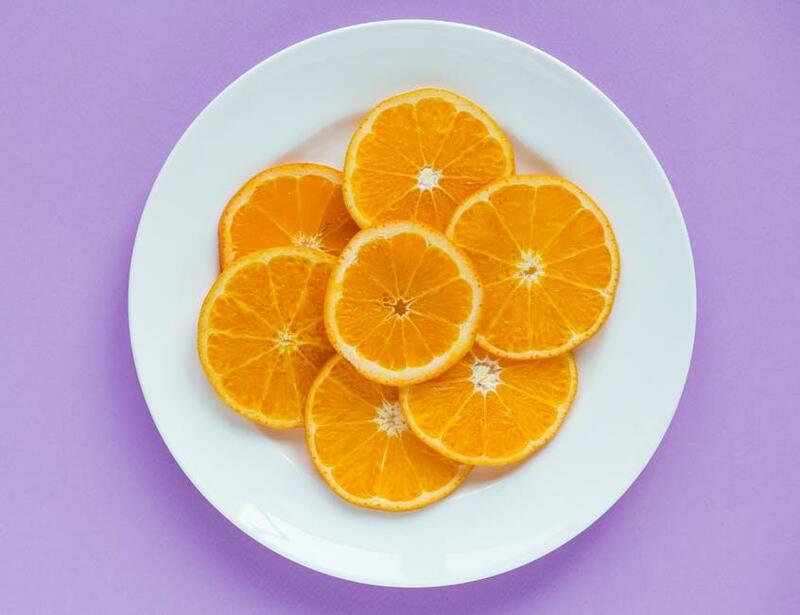 But eating an orange weekly still provides significant benefits, as Professor Bamini Gopinath, who lead the research, reported that their data suggested a correlation between the flavonoids in oranges and protection against macular degeneration. Flavonoids are found in many fruits and vegetables, working as strong antioxidants with anti-inflammatory benefits, making them great for helping your immune system. However, despite flavonoids occurring in many common foods, including red wine and apples, there was no data collected that found a relationship between them and protecting against macular degeneration like oranges do. This eye disease is common among people aged 50-60 as age is said to be the strongest risk factor, with an estimate of 1 in 7 people over 50 years old developing signs of macular degeneration. Therefore, to monitor your eyesight it is also helpful to book regular optician appointments for professional advice. Here at Tunnell’s we specialise in eye examinations, glasses, sunglasses and contact lenses. Using our latest 200 degree Optomap imaging machine and our OCT 3D deep Retinal Tissue scanner, our specialist team are equipped to completed overall retina checks to ensure prolonged healthy vision.